That’s right: vinyl records are about to become a billion dollar industry. 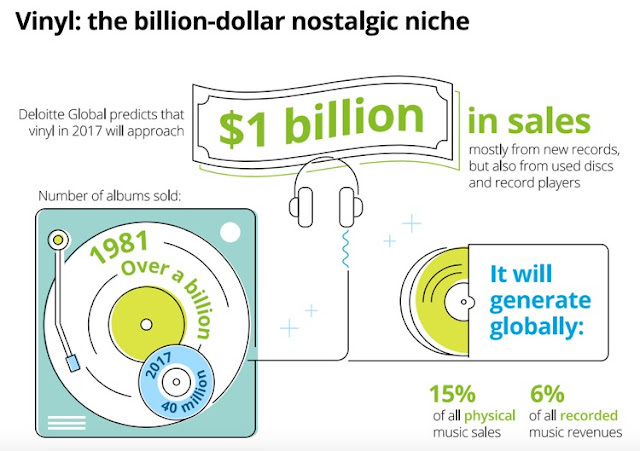 That’s the latest prediction from Deloitte, who exclusively shared their data with Digital Music News. Looks like those beard-growing, wine-sipping hipsters were on to something. That is, a billion dollars worth of something. According to a game-smashing prediction released this morning, sales of vinyl records are set to become a billion dollar industry. That is, in 2017 after just seven years. Specifically, sales of records themselves will reach the $800-900 million-mark, with turntables and other accessories likely throwing things into 9-figures. After that, who knows how big this can go. The prediction was outlined in Deloitte’s just-issued ‘TMT Predictions’ report. “Music industry vinyl is expected to continue its remarkable resurgence, approaching US $1 billion globally in revenues for the first time this millennium,” the report declares. Actually, music industry groups like the IFPI have been counting ten straight years of growth. But hey, let’s not squabble: this is a growth spurt that keeps going, and bringing new users into the mix. And reshaping an entire music industry in the process. But lest we get ahead of ourselves, Deloitte is calming expectations on this format. And putting things into perspective. The report notes that total vinyl album sales topped 1 billion in 1981, a figure that dwarfs expectations of 40 million units in 2017. 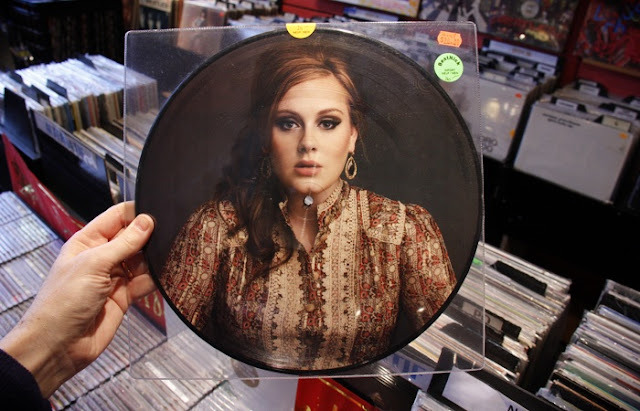 Further cooling things, Deloitte also says that vinyl records will never be the main event. Instead, wax will always play second fiddle to digital, which is at the start of its own mega-explosion. According to the report, vinyl records are expected to comprise 6 percent of broader global music industry revenues of approximately $15 billion this year. “However, vinyl is unlikely to ever be music’s major growth or profit engine, with the future of music squarely focused on digital,” the report concludes. Now here’s where the plot starts to seriously thicken. Because it turns out that the rise of streaming and vinyl records go hand-in-hand. Indeed, the latest research suggests that vinyl isn’t an alternative to streaming, it’s being powered by it. Indeed, the real uptick in vinyl records happened around 2008, which not-so-randomly corresponds with the birth of Spotify. Now here’s where this gets even more nuts. Because not only are streaming and vinyl linked, but patented technology is intertwining the two formats. Just last year, Digital Music News broke the story on an experimental breakthrough in Austria related to ‘HD Vinyl,’ a format that will actually link back to your streaming account. That is, on top of offering massively greater fidelity, durability, and even embedded track metadata. Resinkoff, Paul. "In Just 7 Years, Vinyl Records Have Gone from ‘Fad’ to ‘Billion Dollar Industry’." Digital Music News. http://www.digitalmusicnews.com/2017/01/11/vinyl-records-billion-dollar-industry/.